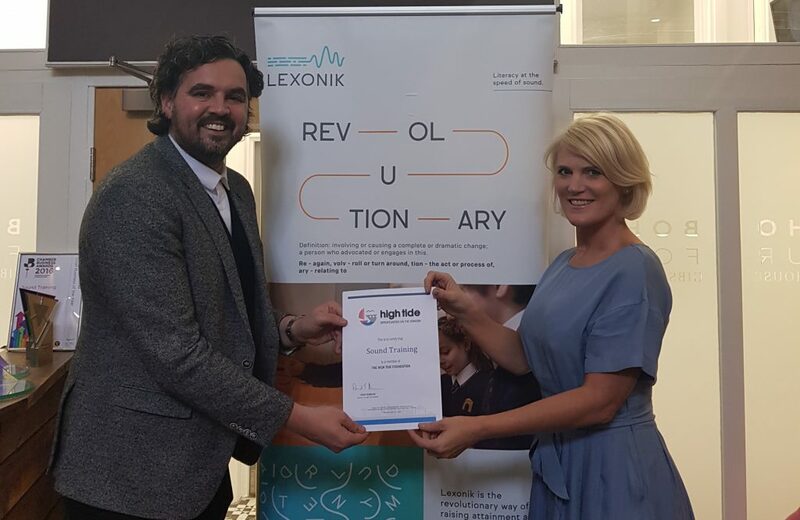 They’re used to transforming young people’s lives through their groundbreaking literacy programme, Lexonik, but now Sound Training have pledged their support to High Tide and students across Teesside by becoming our 109th industry member. Based in the heart of Middlesbrough, Sound Training offer a unique way of learning that has been proven to dramatically and rapidly improve literacy, vocabulary and comprehension. Reaching over 50,000 students across the world to date, their acclaimed Lexonik programme has been credited with raising academic achievement and attainment, while improving aspiration levels, employment opportunities, career advancement and ultimately, life chances. Now, as a High Tide industry member, Sound Training are set to inspire young people in different ways by supporting the development and delivery of our unique and wide ranging industry-led programmes across the Tees Valley. Just like their revolutionary literacy programme, the award winning Sound Training will play a significant role in raising aspirations and employment opportunities for young people. Sound Training CEO, Claire Preston, said: “We are delighted be become members and be associated with High Tide. Founded in 2011 by Katy Parkinson, Lexonik by Sound Training is offered through five products, each serving differing environments and requirements. Lexonik is now being taught by certified teachers and instructors in the USA and UAE, as well as closer to home. But the method is not just restricted to learners of school age; college students and adults are also seeing and feeling the impact of the programme, with employers particularly benefiting from investment in staff development via improved training outcomes and career progression. Sound Training join our varied business members from industries as diverse as digital and creative, law, shipping and automotive. Members include high profile and international organisations such as Nissan and Emirates, as well as national and regionally known firms such as Boots, PD Ports and Active. Such industry members are offered the unique opportunity to bridge skills gaps and help shape the workforce of tomorrow. Becoming a member is completely free; all we ask is for you to help and support High Tide in whatever way you can. Whether that be sponsoring or supporting one of our programmes, offering site tours, hosting work placements, attending events or simply fundraising, we’d love to hear from you. If your business is passionate about Teesside’s future and wants to help raise aspirations and awareness of employment opportunities within your business and the wider sector you work in then please get in touch.